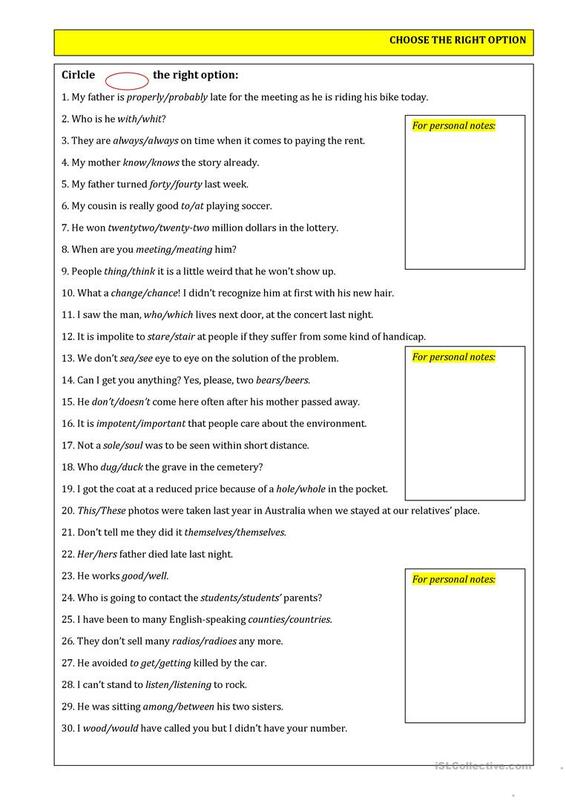 30 sentences dealing with problems students often struggle with. You circle the correct option in each line. The present downloadable handout is best suited for high school students, elementary school students and adults at Pre-intermediate (A2), Intermediate (B1), Upper-intermediate (B2) and Advanced (C1) level. It can be used for enhancing your pupils' Spelling, Reading and Writing skills.